The Independent Alliance made the announcement today. INDEPENDENT ALLIANCE TD Kevin ‘Boxer’ Moran is to keep his junior minister role following a dispute with a fellow party member over who would hold the role for the duration of this government. 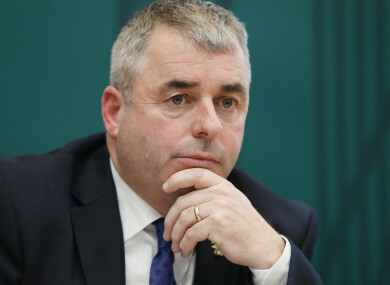 Moran and his Independent Alliance colleague Seán Canney had agreed to rotate the role of Minister of State with responsibility for the OPW and Flood Relief when the current government was formed. Canney began in the role, with Moran taking over in May 2017. Over the past few weeks, a dispute arose between the two TDs over whether or not the role would revert back to Canney. The Independent Alliance met this afternoon and expressed its support for Minister of State Moran and the work he has been progressing while in office. The confidence and supply agreement between Fine Gael and Fianna Fáil, which props up this government, was agreed to last three budgets. This year’s budget will be the third one covered by this agreement. Moran was elected in Longford and Westmeath. The Independent Alliance has six TDs, including the minister for transport, Shane Ross. Email “Kevin ‘Boxer’ Moran wins bout over junior minister role against Seán Canney”. Feedback on “Kevin ‘Boxer’ Moran wins bout over junior minister role against Seán Canney”.